Chicken Circus by Studio H via Jetson Green. Coop Moderne. Urban agriculture is all the rage lately, and with the backyard gardens come the chickens. 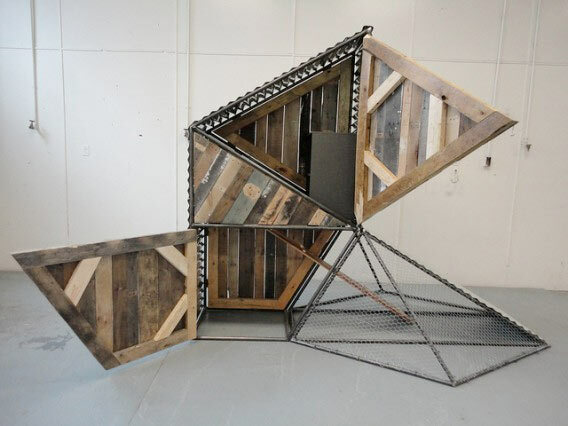 Jetson Green offers a few examples of high-design chicken coops made of reclaimed materials by Studio H, a design-build program for high-school students in North Carolina. Aid. Architecture for Humanity is working on plans to provide relief to victims of the Sendai earthquake and tsunami. The post-disaster reconstruction group is asking for donations now to they can build later. If you would like to support Japan more immediately, the Japanese Red Cross Society is also a good choice. Al Fresco Forward. As the weather begins to warm, the New York DOT has announced that it’s pop-up cafe program is moving forward. Modeled after pop-up sidewalk cafes in San Francisco and other cities, New York tried out its first model in the Financial District last year. The planter-lined sidewalk extensions project six feet into the street and are paid for by sponsoring businesses. The Post has the list of DOT-approved restaurants in Soho, the Village, and elsewhere.